Before Raspberry Pi, BeagleBone was the go-to low-cost developer board for enthusiasts. It's still used by many, and a new BeagleBone board is now being targeted at robots. 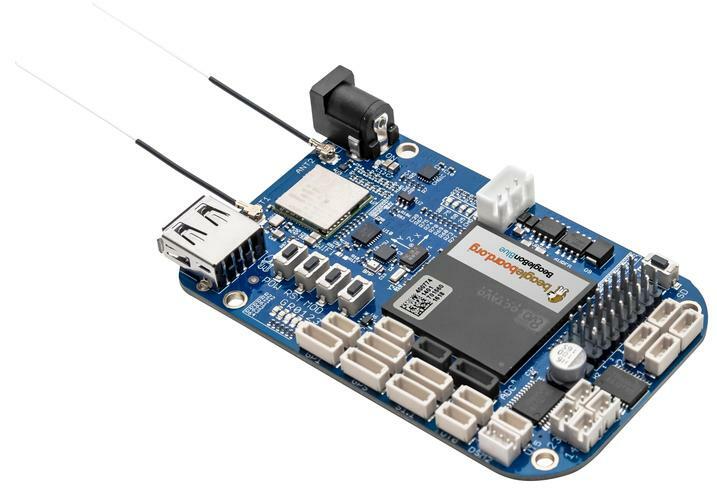 The US $79.95 BeagleBone Blue from BeagleBoard.org is a credit-card sized board with all the components needed to operate a robot or even a drone. It is open source, as its schematics have been published, and developers can replicate the board. Robots have unique requirements, and some computer boards specialize in specific features. For example, Nvidia's Jetson TX2 and Intel's Joule excel at computer vision and can give robots digital eyes to steer past obstacles. These boards also have powerful graphics processors and 64-bit CPUs. The BeagleBone Blue isn't as powerful but has the components and software package needed to build medium-sized or small robots. It includes servo motors, electronic speed controllers, DC motor controllers, and sensors that aid in robot movement and sensing. It has the components needed to load and support a two-cell lithium-polymer battery. These components don't come standard on a Raspberry Pi 3, which is more of a multi-purpose developer board. A number of standard software programming tools can be used to develop robots on the board, which supports ROS (Robot Operating System). ROS sits on top of Debian Linux, which is the main OS supported by BeagleBone Blue. The board's wireless capabilities include support for 802.11b/g/n Wi-Fi and Bluetooth 4.1. It has 512MB of DDR3 RAM and 4GB of flash storage. It also has GPS, which is especially helpful when building drones. The board supports Ardupilot, an open-source autopilot system to help control drone movement. The Blue runs on a 1GHz ARM Cortex-A8 processor, which is a chip design now about 12 years. The CPU is incorporated into the Octavo Systems OSD3358 system-on-chip. Older chips are now finding new life in IoT and non-traditional computing devices. It has standard interfaces found on other developer boards, like UARTs, SPI and I2C. It also has a DSM2 radio transmitter.